Artist Kathy Kromer has a website at, http://www.kathykromer.com/_hearts001.htm that not only shows her art, but also has an artists’ bio page. Intensity is her trademark. Although she uses acrylics on canvas, with this project we attempt to copy her art using colored construction paper and oil pastels. 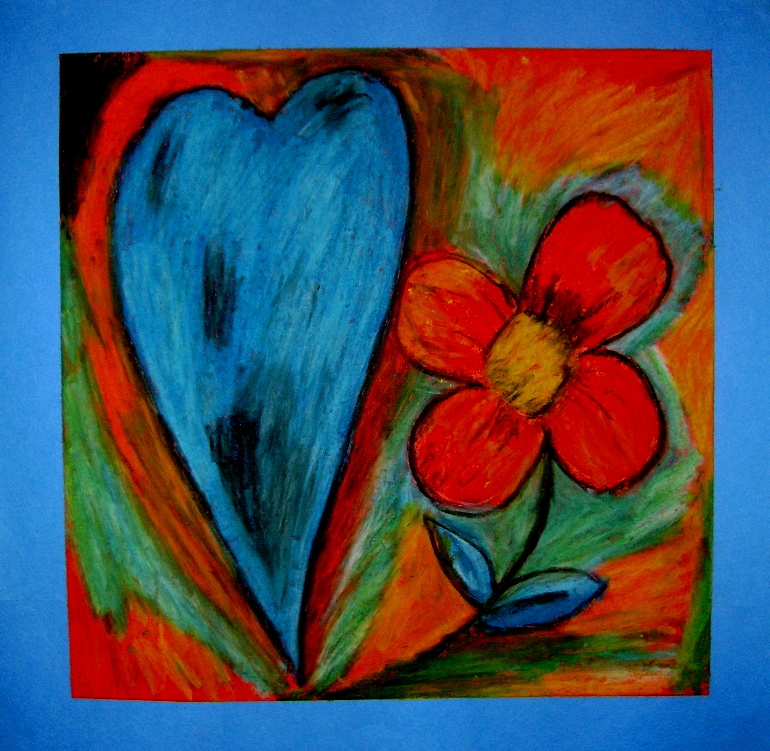 I’ve included this project, “Hearts And Flowers,” in the Valentine’s Day Projects Gallery in the sidebar because any class 3rd through the 6th could easily do it. This entry was posted in Valentine's Day and tagged art for kids, classroom, easy, hearts and flowers, kathy kromer art, kathy kromer inspired art for kids, oil pastel heart art, projects for kids, valentine, valentine art, valentine art for kids, valentine day craft project. Bookmark the permalink.